Geek Theater is Coming on November 4, 2014! But why wait to purchase your copy. You can pre-order a copy of Geek Theater now and receive it on November 4th. The first of its kind, Geek Theater is a groundbreaking anthology of 15 science fiction and fantasy stage plays, edited by Jen Gunnels and Erin Underwood. Each play challenges what you think you know about science fiction and fantasy theater by doing what SF/F does best…but now you can see it on the stage. Geek Theater showcases 15 science fiction and fantasy stage plays by some of today’s top authors and award-winning playwrights and is the first anthology that truly delves into the world of speculative fiction theater. Until recently, modern science fiction and fantasy stage plays have largely gone unnoticed despite the proliferation of plays and performances by theater companies around the world. 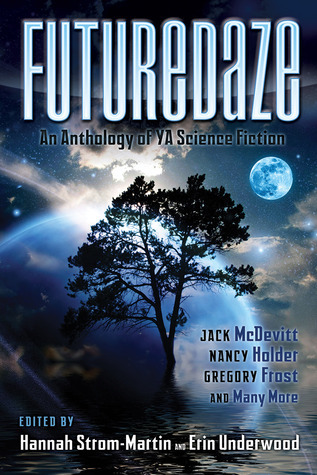 These plays are an important part of the science fiction and fantasy cannon as they represent a unique intersection of authors and playwrights producing work at a time when these genres are flourishing. Featuring plays by Liz Duffy Adams, Jeanne Beckwith, Cecil Castelucci, F. Brett Cox, Andrea Hairston, Carlos Hernandez, James Patrick Kelly, John Kessel, Chie-Hoon Lee, James Morrow, Mac Rogers, August Schulenburg, Crystal Skillman, and Adam Szymkowicz. Welcome to the YA Scavenger Hunt! There are SIX contests going on simultaneously, and you can enter them all! I am a part of the INDIE TEAM–but remember there are also five other teams, which gives you multiple chances to win a completely different set of signed books! One lucky winner will receive a signed book from each author on The Hunt from the INDIE TEAM! Even better, you have a chance to win a grand prize from each other teams as well. But play fast: this contest (and all the exclusive bonus material) starts on October 2 at noon (PST), and ends on Sunday, October 5th at noon! This tri-annual event was first organized by author Colleen Houck as a way to give readers a chance to find exciting new authors, gain access to exclusive bonus material from their favorite authors…and get a chance to win some awesome prizes! Visit the official “HOW TO HUNT” -YA Scavenger Hunt page to learn more about The Hunt, view links to the participating authors, and the list of prizes! Directions: I’ve listed my favorite number in the text below. Collect the “favorite/secret numbers” from all of the authors on the INDIE TEAM, and then add them up to discover the winning number (don’t worry, you can use a calculator!). Entry Form: Once you’ve added all the numbers for the INDIE TEAM authors, make sure you fill out the entry form <click here> to officially qualify for the grand prize. Only entries that have the correct number will qualify. So, make sure you get the number from each author on my team. Contest Rules: Open internationally. Anyone under the age of 18 should have a parent’s or guardian’s permission to enter. To be eligible for the grand prize, you must submit the completed entry form by Sunday, October 5th at noon Pacific Time. Entries submitted without the correct number, without contact information, or after the deadline will not be considered. The winner will be chosen at random from the qualified entries for each team. 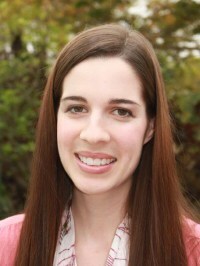 Today, I am hosting Rachel Morgan on for the YA Scavenger Hunt! Find out more information by checking out Rachel’s website or find more about Creepy Hollow: THE FAERIE GUARDIAN here! 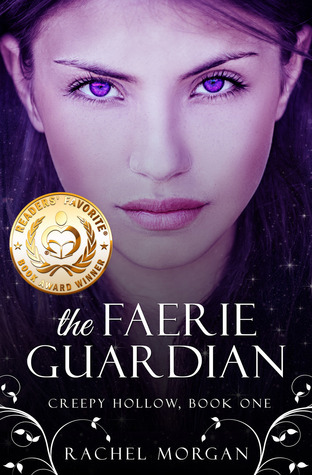 Protecting humans from dangerous magical creatures is all in a day’s work for a faerie training to be a guardian. Seventeen-year-old Violet Fairdale knows this better than anyone–she’s about to become the best guardian the Guild has seen in years. That is, until a cute human boy who can somehow see through her faerie glamour follows her into the fae realm. Now she’s broken Guild Law, a crime that could lead to her expulsion. The last thing Vi wants to do is spend any more time with the boy who got her into this mess, but the Guild requires that she return Nate to his home and make him forget everything he’s discovered of the fae realm. Easy, right? Not when you factor in evil faeries, long-lost family members, and inconvenient feelings of the romantic kind. Vi is about to find herself tangled up in a dangerous plot–and it’ll take all her training to get out of it alive. Check out Rachel’s special content for The YA Scavenger Hunt . . . A brand new book trailer for the Creepy Hollow Series. Remember to enter the Other Teams’ contests for your chance to win a bunch of signed books–including books by me, Rachel Morgan, Colleen Houck, and more! To enter, you need to know that my favorite number is 10. Once you’ve collected all of the INDIE TEAM’S favorite numbers, add them together and you’ll have the secret code to enter for the grand prize! Here’s a link to the contest entry page for the Hunt. Continue your quest to complete the Hunt by visiting Colleen Houck! In addition to the YA Scavenger Hunt contest, I’m also running my own contest. Enter here to win a signed copy of FUTUREDAZE 2: REPRISE. The entry with the most points wins! If there is a tie, those contestants will be entered into a random drawing to determine the winner. This contest is open internationally. If you are under 18 years old, please be sure to get your parent’s permission to enter. Leave me a comment here (on this blog post) telling me how many points to give you. Leaving a comment counts as 1 point. The YA Scavenger Hunt is now over. Thank you so much for participating!